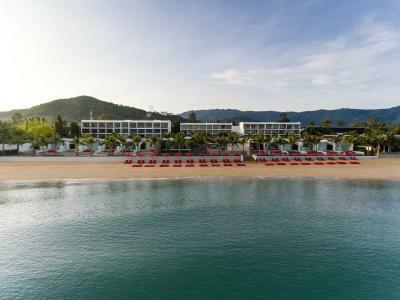 Lock in a great price for SENSIMAR Koh Samui Resort and Spa – rated 9.2 by recent guests! We stayed in the private villa. Very clean. The DJ music is a bit loud but once u close the door u won't hear anything. Everything was awesome. We enjoyed our stay. We loved the villa with sea view and private pool we had booked. It was spacious inside and outside and we were literally right on the beach . We stayed in Villa 112. The car that met us from the airport was immaculate, the driver was really friendly and they had chilled bottled water waiting for us. The whole Reception team, catering staff, pool bar staff were really friendly, very helpful and nothing was too much trouble! Can’t recommend them highly enough! 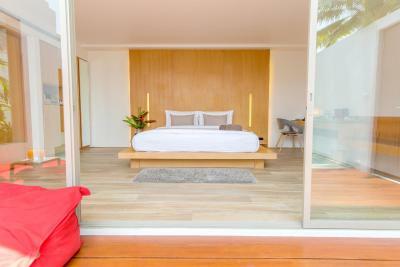 The best hotel is Samui. The view is amazing, the atmosphere is very calm and the service is great. They even made our bed to go to sleep. the location and hotel comfort is fantastic. the check in was a bit confusing, but other than that, it was a great experience. The resort facilities are amazing including the beach, the spa, and othera. You can rent motorbike to enjoy the island. The one bedroom villa with the private pool is amazing for any couples. They have different activities everyday. I really enjoyed our ocean view from the room. It was so relaxing laying out on the patio that I almost wanted to sleep there under the stars and moonlight. We had a lot of fun taking pictures in the infinity pool with nothing in the scene but pool then ocean and some palm trees. The breakfast was good and the staff spoke good English which was helpful for us. Everything else was just perfect . Beautiful resort , very well maintained and the staff are really courteous and attentive. 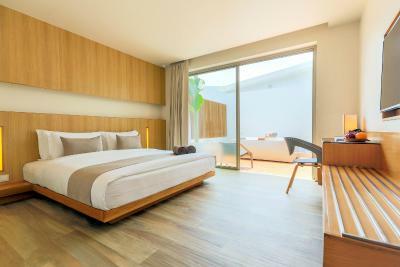 SENSIMAR Koh Samui Resort and Spa This rating is a reflection of how the property compares to the industry standard when it comes to price, facilities and services available. It's based on a self-evaluation by the property. Use this rating to help choose your stay! 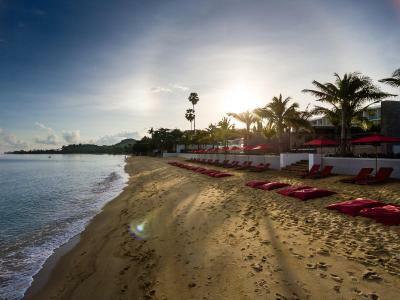 One of our top picks in Mae Nam.Occupying a peaceful beachfront location along Mae Nam Beach, the adult-only Sensimar Resort Koh Samui offers an outdoor swimming pool and modern adult-only accommodations with free WiFi access. 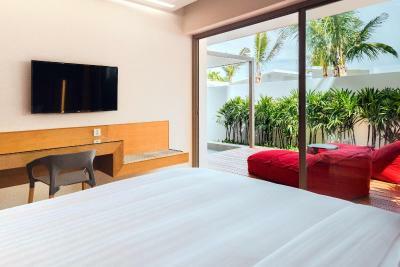 Guests can choose from a range of accommodations, including rooms, suites and villas. 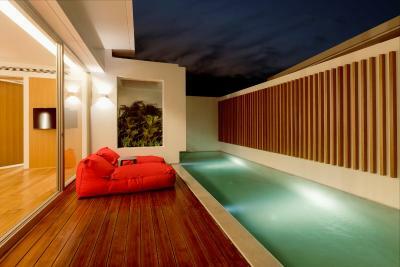 Some villas also include a private pool. 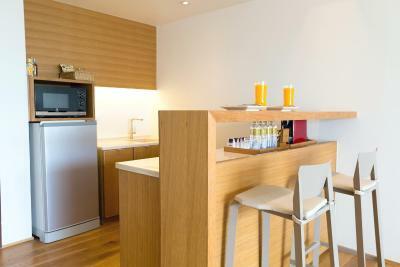 All accommodations features air-conditioning, a flat-screen TV and a mini-bar. 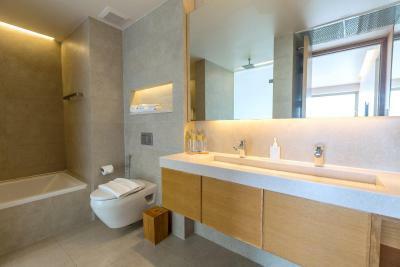 There is also an private bathroom with a shower, hairdryer and free toiletries. 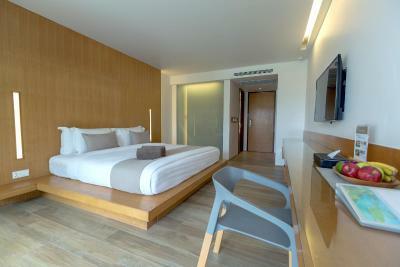 Facilities at Sensimar Resort Koh Samui include a fitness center, a tour desk and a 24-hour reception. Airport transfers are available at an additional charge. For meals and drinks, guests can enjoy the beachfront restaurant that provides all-day dining serving Western and Thai food. The pool bar also allows guests to enjoy refreshing beverages without leaving the water. Drinks can also be served on the terrace or at the private beach area. 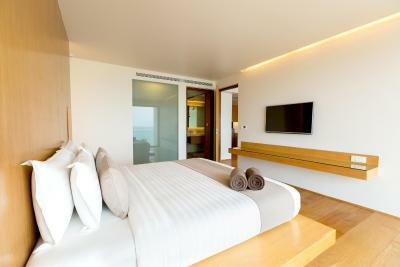 Located on the northern coast of Samui, the resort is a 10-minute drive from the popular Friday night walking street and Fisherman's Village. Samui Airport and the Chaweng Beach area are both a 20-minute ride away. 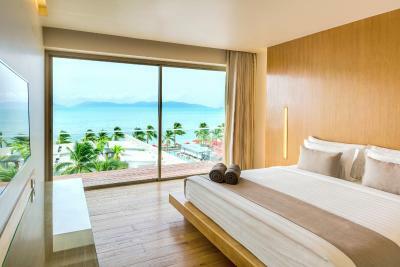 When would you like to stay at SENSIMAR Koh Samui Resort and Spa? 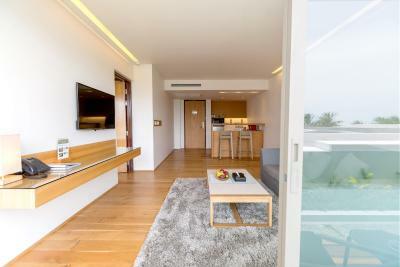 This twin/double room has a balcony, cable TV and mini-bar. 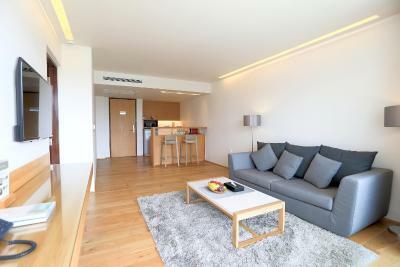 This twin/double room features a balcony, flat-screen TV and mini-bar. 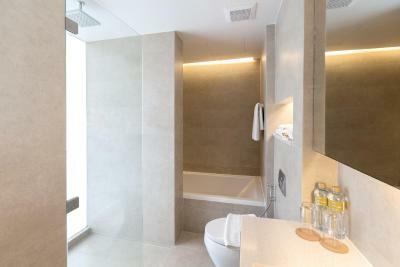 Located on the ground floor, this double room has a private plunge pool. Please note that this room type does not have a view. 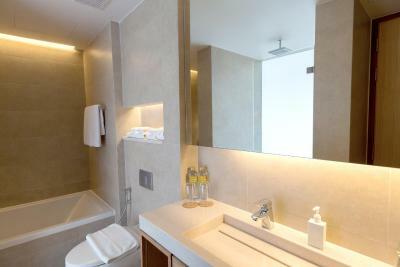 This suite features a balcony, mini-bar and tea/coffee maker. 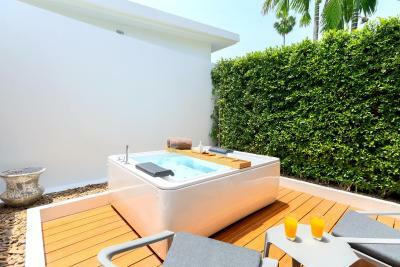 Surrounded by the resort's tropical lush garden, this standalone room offers a private outdoor hot tub. 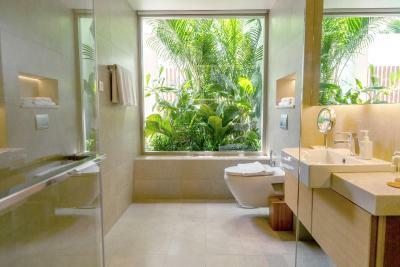 This villa has a private pool, a flat-screen TV and a private bathroom. It is available with double or twin bedding. This villa features a mini-bar, cable TV and bathrobe. 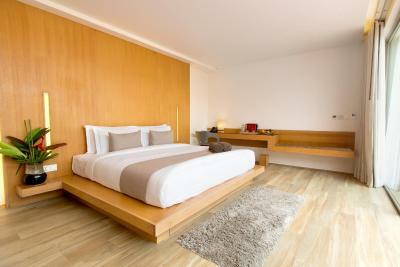 House Rules SENSIMAR Koh Samui Resort and Spa takes special requests – add in the next step! SENSIMAR Koh Samui Resort and Spa accepts these cards and reserves the right to temporarily hold an amount prior to arrival. Please note that the resort does not accept children or guests under the age of 16. 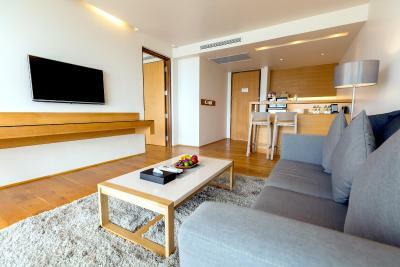 Please note that the name of the credit card holder must be the same as the guest's name and credit card must be presented to the property for validation purpose upon check-in. If the same credit card cannot be presented for any reason upon arrival, the charged amount will be refunded back to it's original card and guests will be asked to arrange the payment through a new payment method. Everything! Awesome place! It is for 16+ so calm and nice to enjoy. Cool music by the pool.Nice beach.The room really confortable, clean, they gave us a lot of free water and amenities. The best thing was that after check out we wanted to stay by the beach/pool and the let us use another room for us to take a shower and change. Really nice. The airport transport was ready on time. Everything really good. The bed was divine. We stayed in 4 5* hotels during our stay and this was one of the best. Pool area lovely and no issue getting a sunbed. Breakfast exceeded my expectations. Perfect stay. We stayed in the Deluxe room with plunche Pool. The TV connection sometimes gets interrupted. Perhaps a littler more evening entertainment but most people come here to chill out and go into Chewang for nightlife. Fantastic adults only hotel and probably my favourite of the 6 we stayed in on our tour of Thailand. Pool, rooms, food, staff, facilities all amazing, couldn't do enough for you. Friday pool party and happy hour cocktails are not to be missed. Hotel restaurant and spa quite expensive. Great design of hotel, friendly staff, great pool area and super nice beach! I’ve never ever been to a hotel before where I just adored everything. The staff is the friendliest staff I’ve ever met and our room got cleaned twice a day. We got free water in the room and the facilities were just great! The WiFi is really good all over the place as well. Had a delicious breakfast the entire time we’ve been there (you have to try the carrot cake!) and didn’t want to stop eating... The pool was really clean and didn’t smell like any chemicals. We got free towels for the beach which was just great! The property itself looked really nice as well and they are taking good care of it. Loved the free fitness activities like Yoga in the morning,partner activities or a workout in the water. I was really sad that I had to leave after only 6 nights of pure relaxing and having the best time ever! Since we travelled in in the evening we were able to spend the day there and got a small room with a shower so we could get changed before we needed to leave. Everything was excellent. Great drfvice and beautiful scenery. Would love to come back. New hotel, everthing in order, clean, nice and well educated staff. Beautiful pool. Wonderful soft beds and pillows. If anything a little clinical . Lacking atmosphere. As food and drinks quite expensive a lot of people going out making it quiet. Saturday night bbq and music was so serious and slightly morose. Not encouraging fun. Not ideal for a solo traveller. Sorry . Style was simple, stylish and relaxing. The staff are very pleasant and helpful. Great staff.